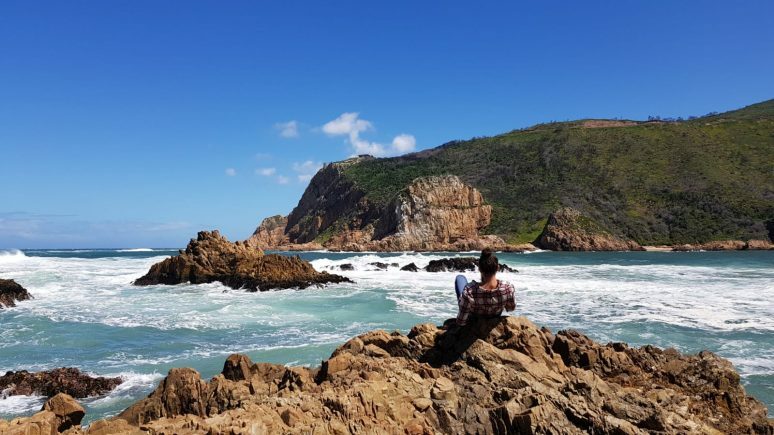 When travelling to South Africa you may be tempted to plant yourself on top of Table Mountain in Cape Town, head to Jo’burg for some city vibes, or book an incredible safari in Durban- and to all of that I say, “Do it!” But what you may be less likely to do is to indulge in the quiet yet stunning beauty of the Garden Route of South Africa, but that doesn’t mean you shouldn’t. 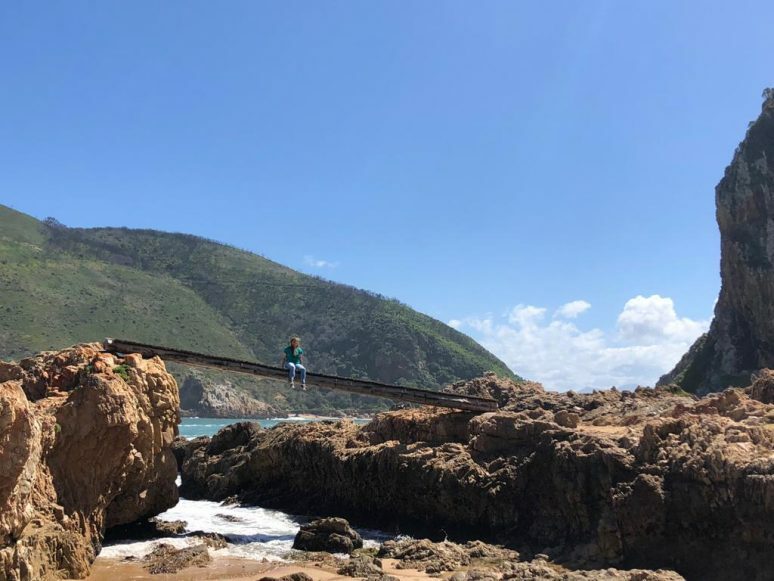 The South African Garden Route is a 300-kilometer stretch that rounds the coast of South Africa extending from the Western Cape to the Eastern Cape. 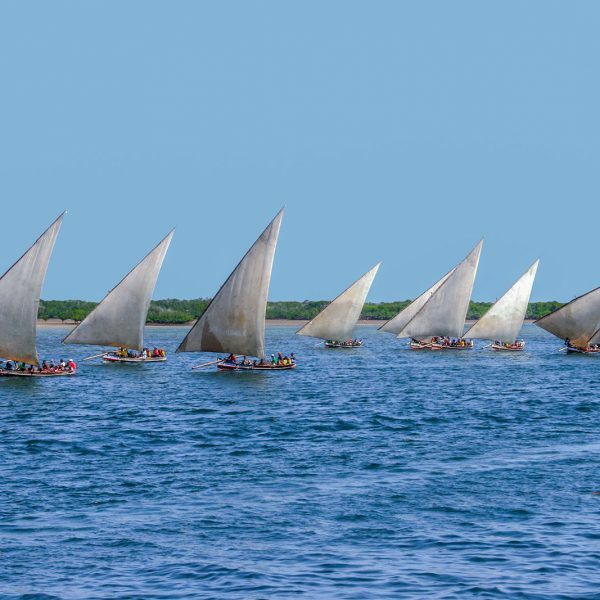 The route takes you on a journey where you consistently see mountains to one side and the Indian Ocean to the other. From incredible scenery to lush plant-life, to local stops along the way it’s the perfect international road-trip. Stopping along the way for hand-crafted pottery, textiles and croissants is just the beginning. The Garden Route is easy to do as you please, as there are so many possible stops along the way. 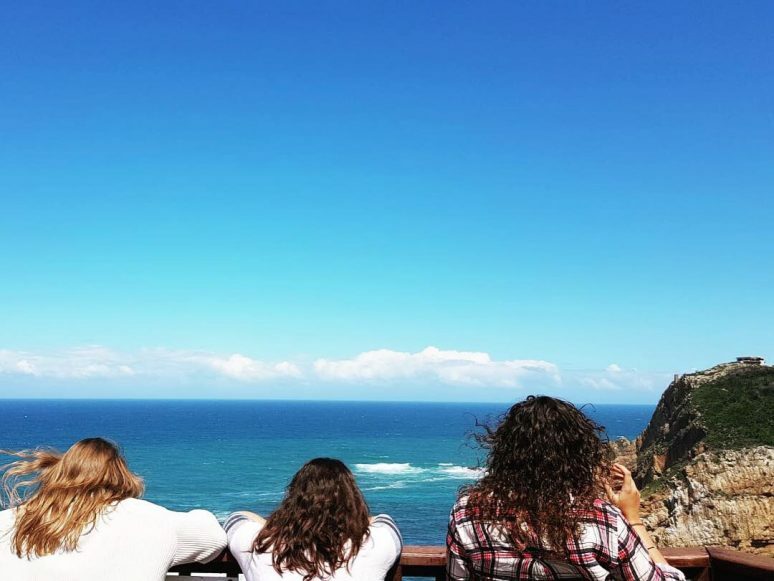 You don’t have to drive the entire thing to have a trip well spent, in fact, there are a few stops that are easy to tack onto your Cape Town plans. 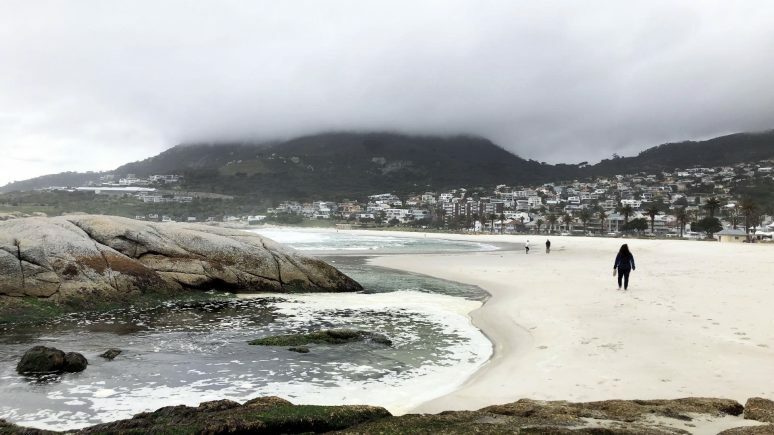 Camps Bay is a sort of LA/Jungle mix that will make you feel like you’re on Miami Vice. Camps Bay is home to luxury accommodation, and it’s easy to see why. The beaches here are white-sanded and rocky with palm covered mountains in the background. Interestingly, Camps Bay was used in the Netflix original series “Black Mirror” as a so-called “perfect town”. 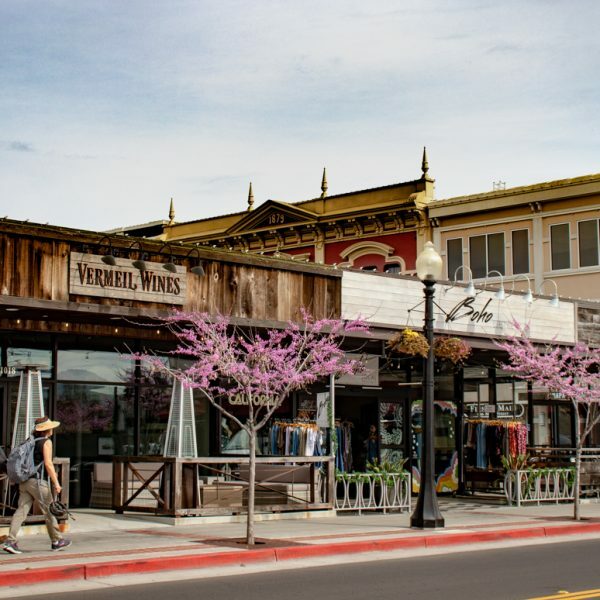 Take a walk down the promenade, splurge on all your shopping needs, and go barefoot on the beach-all before you even start your drive down the route! 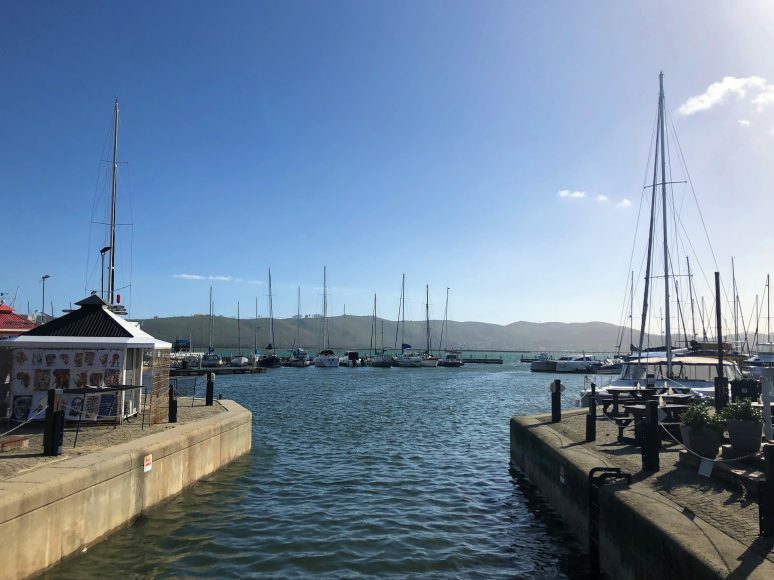 What seems like a discreet pullover from a neighborhood in South Africa is actually the gateway to the Knysna Heads, and I promise they will take your breath away. There’s a pathway to varying overlooks that are mounted on the cliffs, allowing you to practically feel the turquoise waves crashing far below. You can also access the beach below, and climb around the cliffs! The Heads actually funnel an estuary leading to the “Knysna Lagoon”. Can you guess what the cliffs look like? 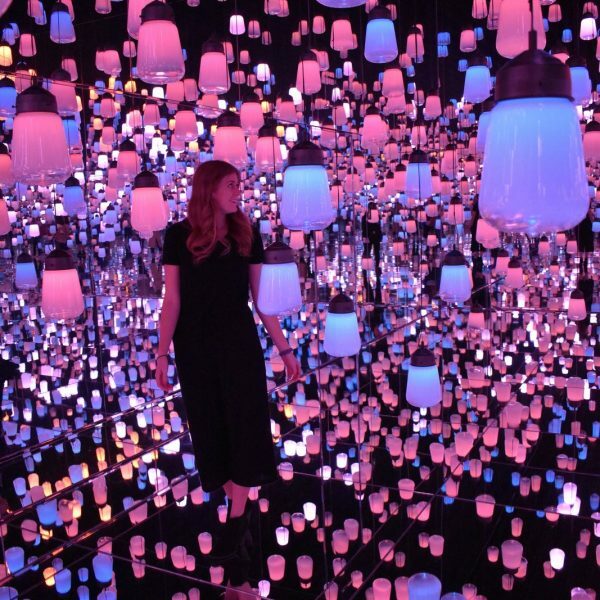 You can easily spend an afternoon here. There is even a giant footbridge that would be great for a lunch spread or fun pics. My advice would be don’t stop exploring here! You can literally climb out to where the waves will crash against the rocks onto your toes, and the clouds can sometimes come low to create a really dynamic view. This is not your average beach experience, and there’s no entry fee from most areas. One of the heads is privately owned, but for a fee and a boat cruise, you can gain entry to it as well. 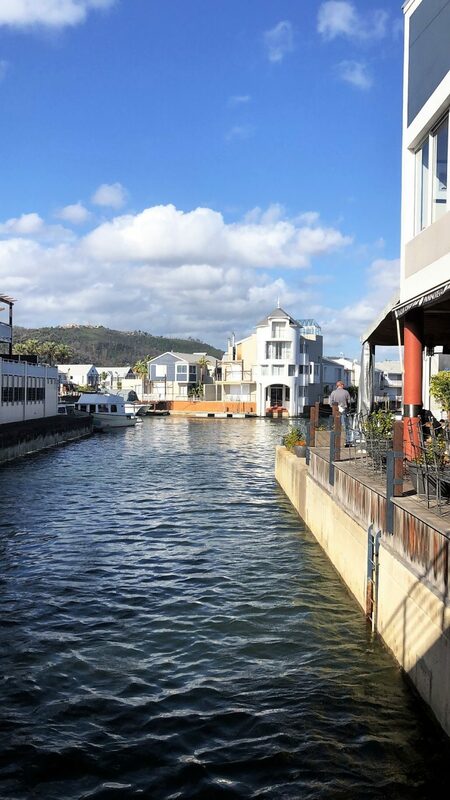 The port at Knysna Central quickly became our favorite meal spots. Knysna is famous for Oysters and if you’re in town in June -July you can catch the famous Oyster Festival. But if Oyster’s aren’t your thing you can still eat great seafood, Italian, and burgers with a view of the sea. The harbour is lined with adorable shops, parked sailboats and ice cream stops. Ile De Pain is a top-of-the-list authentic artisan bakery on Thesen Island with to-die-for french toast and cortados. We stayed just a short walk from the harbour which was ideal for experiencing the most of the town. Also in Knysna are several cute local markets. At night you can visit the Knysna Friday Market for local music, brews, and possibly the best handmade donuts you’ve ever had. Every Saturday morning the Scarab Village Market sets up shop in neighboring Sedgefield. There are several South African implants from other African countries who come here to sell their goods. Here I bought an authentic Zimbabwean wall-hanging. There are tons of handmade crafts, delicious tart stands (make sure to find Queen of Tarts! ), and plenty of old couples with small fluffy dogs as well. Be sure to try the local Biltong when at the market. It’s a sort of dried cured meat that South Africa is famous for! If the drive to Port Elizabeth wasn’t satisfying enough, the diverse geography of ‘PE’ will be. Port Elizabeth isn’t just a view of the mountains but it’s in them! Local farms are occupied by horses and little monkeys who man the street signs. The leg is definitely the most serene, as we were perfectly content sitting on the back porch watching the sunset over the mountains. There were a ton of quaint Airbnb’s available for this area. The city is also great for exploring. Great stops include: the Nelson Mandela Metropolitan Art Museum, visit the Bay, or bakery Vovo Telo. Just a drive from the mountains are the dunes of Port Elizabeth. 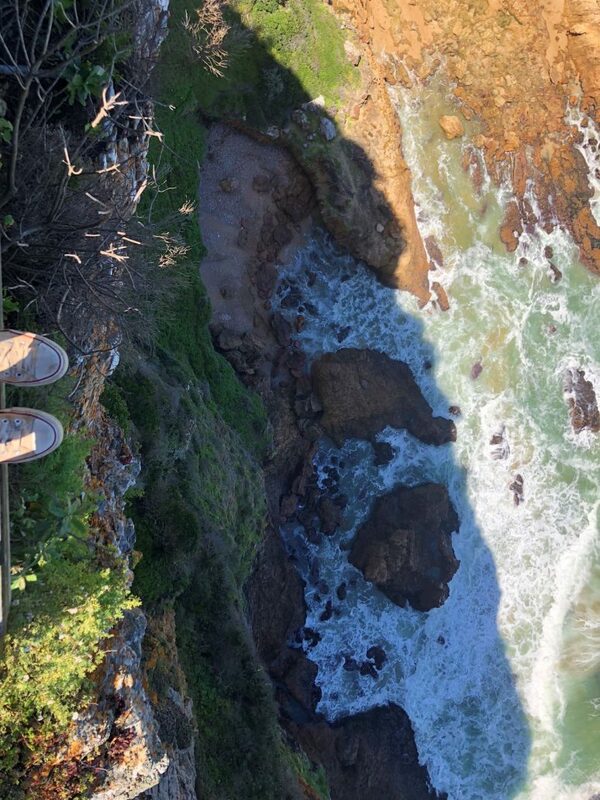 It’s stunning to stand on top and look over to see the water. 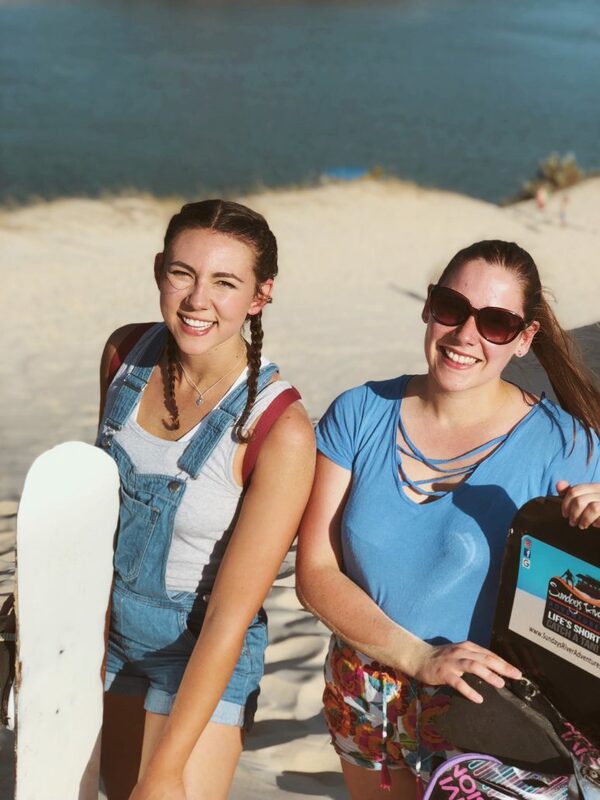 You can even go Sand Boarding! We used Sundays River Adventures and booked the hour-long tour for around $15. This seems like a short amount of time but by the end, we were exhausted from learning a new skill and sliding down the dunes. Our guide was amazing and this was by far one of my coolest experiences in Africa to date. The best way to end your Garden Route trek back in Cape Town is to spend an afternoon in Wine Country. 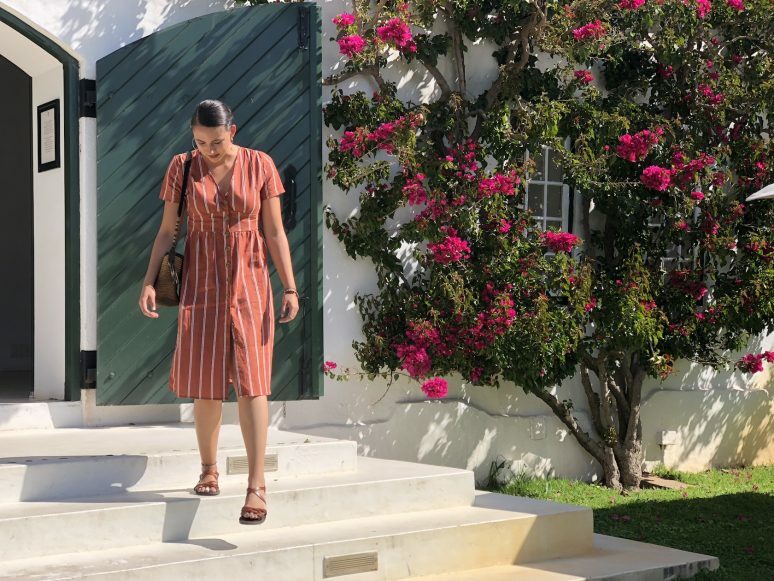 Stellenbosch is a historic Cape Dutch town and is world-famous for its wines, and it’s easy to tell. 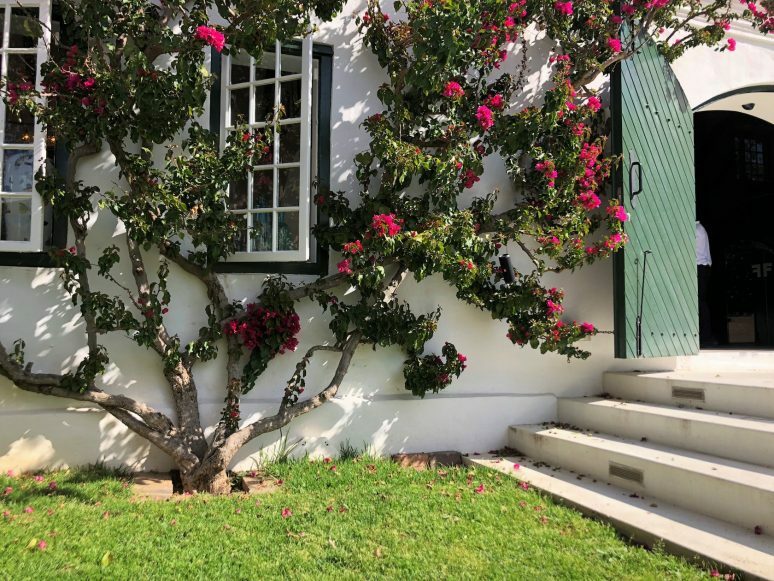 There are wineries lining the length of Stellenbosch, and the road leading to, named “Dorp Street” is historically famous for its Oak-Tree lining and architecture. From many stops, you can see the Hottentot Holland Mountains in the distance, which makes for a pretty great photo background. There are also plenty of chances along the way for fresh strawberry picking (a luxury in Africa!). We stopped at Peter Falk Wines as walk-ins and chose to do the mixed flight, which included 10 wines. The wine was incredible and the cost of the flight was around the equivalent of $5 (but don’t forget to splurge on the cheese board!) Stopping into Peter Falk Wines or Beyerskloof is the perfect way to kick back after your road trip! Now, this isn’t exactly a stop, but that’s the point of the Garden Route. It’s the ride that is the stop. The rolling hills are endless and the conversations can be too. So don’t let the destinations dictate the journey. Enjoy the ride and the people you’re with, this is one of the few times in life where you don’t have to be rushed to get where you’re going. And anyway, the views from the car are just as good as the ones from the hotel. 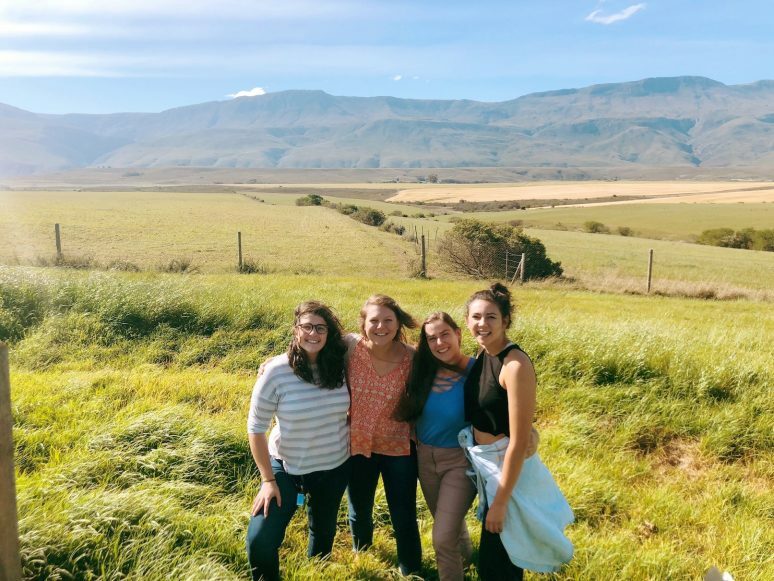 I was skeptical when first planning my trip to Cape Town to dedicate days to driving up the East Coast, but grabbing a rental car and stopping along the way was an amazing way to start our trip. For the best experience I would dedicate 5-7 days to the route if you are planning to visit, and then spend 1-2 days at each stop. On average we paid between $15 and $30 for Airbnb’s per night, depending on the level of luxury you want. Split between a crew of girls this was super affordable. 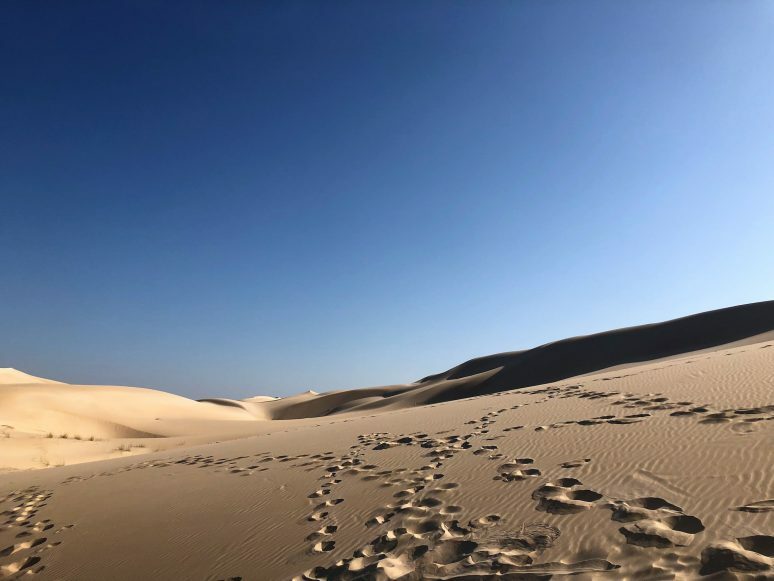 Other suggested stops not featured would be the Wilderness, safaris in Port Elizabeth, and Noetzie Beach, a formerly segregated beach from the Apartheid era. 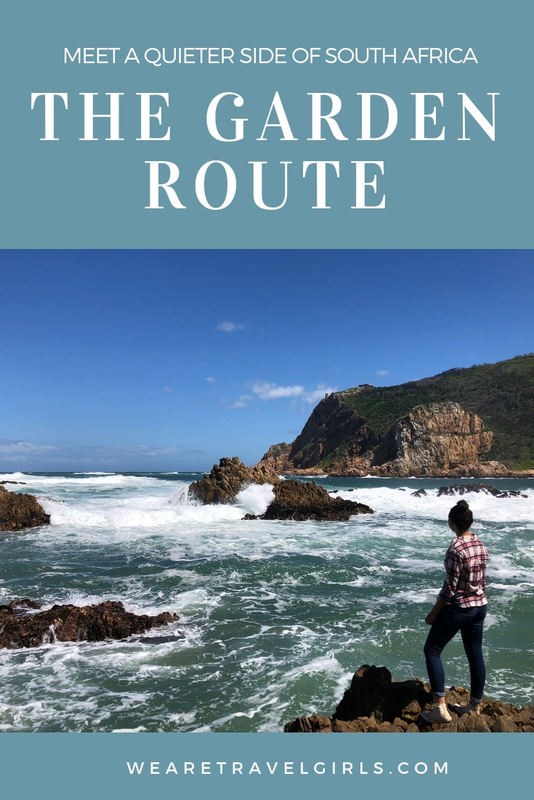 I hope this article helps you to plan your own visit to South Africa’s Garden Route. If you have questions, tips or updated information about visiting the Garden Route, please share them with readers in the comments. I’ve known so many people talk about South Africa and it’s beauty, and how amazing the surf is as well. Always wanted to go that’s for sure!